Ever since he directed Iron Man back in 2008, Jon Favreau has positioned himself as a big blockbuster filmmaker, not only helming the Marvel movie's sequel, but also the big budget Cowboys vs. Aliens. His next film, however, takes him back to his small budget roots, and today we get our first extended look at the movie. 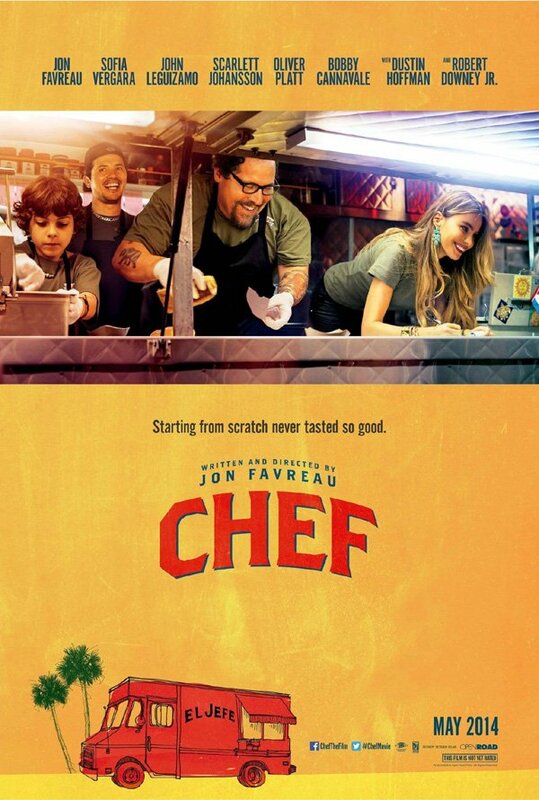 Following its successful premiere at this year's SXSW Film Festival, Favreau's Chef has debuted its first trailer over on Apple. Based on an original script that Favreau wrote himself, the movie stars the director as Carl Casper, an extremely talented chef who finds his talents being limited by the restricted menu at the famous Los Angeles restaurant where he works. Seeking an outlet for his creativity, he winds up traveling out to Miami and with the help of his ex-wife (Sofia Vergara) and son, he opens up a touring food truck that he can use to cook any food his heart desires. The talented supporting cast also includes John Leguizamo, Scarlett Johansson, Dustin Hoffman, Oliver Platt, Bobby Cannavale, Emjay Anthony, and Robert Downey, Jr.
As fantastic as the first Iron Man is, I'm excited that Favreau's career is turning back towards smaller-budget projects. All one has to do is think back to Swingers to remember that the guy can work some amazing magic writing a scene that just has a bunch of guys hanging out in a bar. In this trailer and the previously released clip from the movie it's not hard to see splashes of that style. Looking at some of the plates that Favreau puts together in the trailer I can definitely understand how Sean's hunger might have happened. If you go see Chef in theaters, you might want to go eat dinner beforehand instead of waiting to grab a bite after. Otherwise the experience might just be its own kind of torture. So when will you be able to see the movie for yourself? Open Road Films is going to release Chef in theaters on May 9th, where it will go up against the Seth Rogen-Zac Efron R-rated comedy Neighbors (another SXSW success story) and The Amazing Spider-Man 2 in its second week.